As distinct from neuro muscular thinking… freeing the body from stresses, by thinking in terms of pure energy. A freed will level of mentation. From here wish focusing is possible, and other higher mental abilities that will be discovered by explorers like you. A gathering of people with a specific intent of feeling and ascending into higher Aziums. Angelinium is: ... The Universal Azium intimated by the majestic spinning of the Sun. 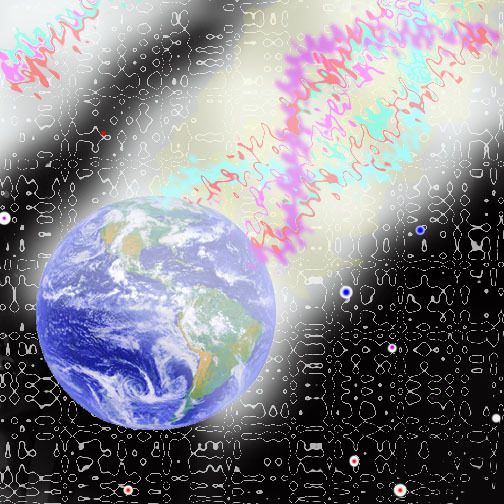 This 'torque field' fills the Solar System. As a stage of human consciusness: Angelinium is the underlying communication net for Emotion. People experience this field accidentally when they fall in love and feel that walking on air feeling, and the feeling that they see emanations of light flowing from their loved ones, themselves, and the surrounding environment. 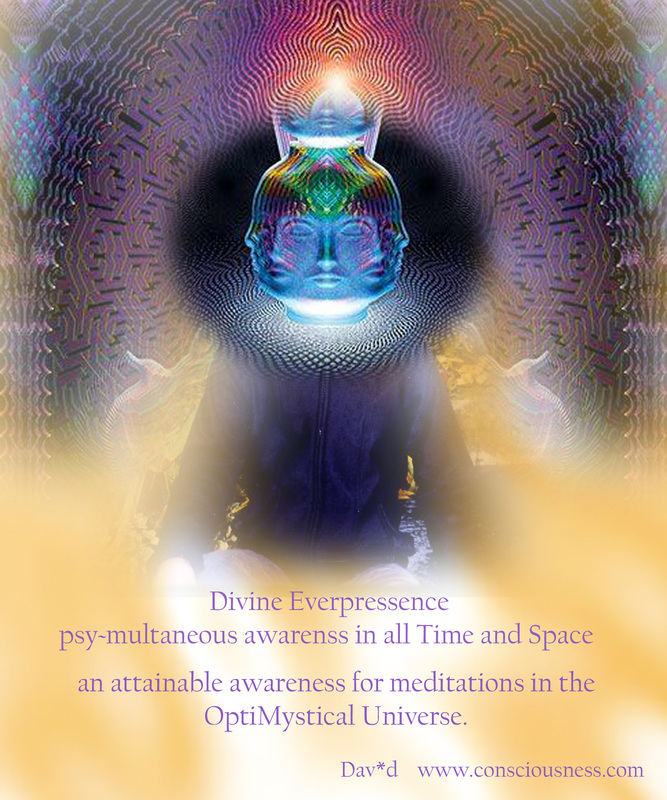 Now, with this OptiMystical Universe Revealation, Conscious ascention into Angelinium is available for everyone. in the barnyard, coorporation CEO, 5 Star Generals, etc. The transference of the Genetical Principle into various Universal Aziums. Freedom within an established system. Accidental ascension due to love, stress, or certain drugs. a person after the person stops spinning. Properties: Ethereal, light bending, buoyant. Exhibiting a magnetic pull on mental material. the relationship patterns Life exhibits, specific to that Azium. Ex: Territoriality of Spinazium compared to the territoriality of Angelinium. 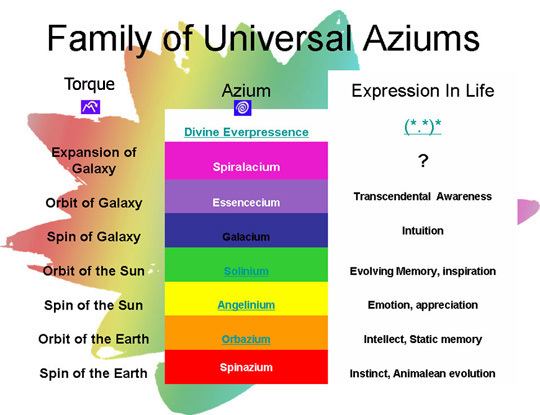 When the Genetical Principle is focused into A Universal Azium, then a body of that Azium material is crealated. 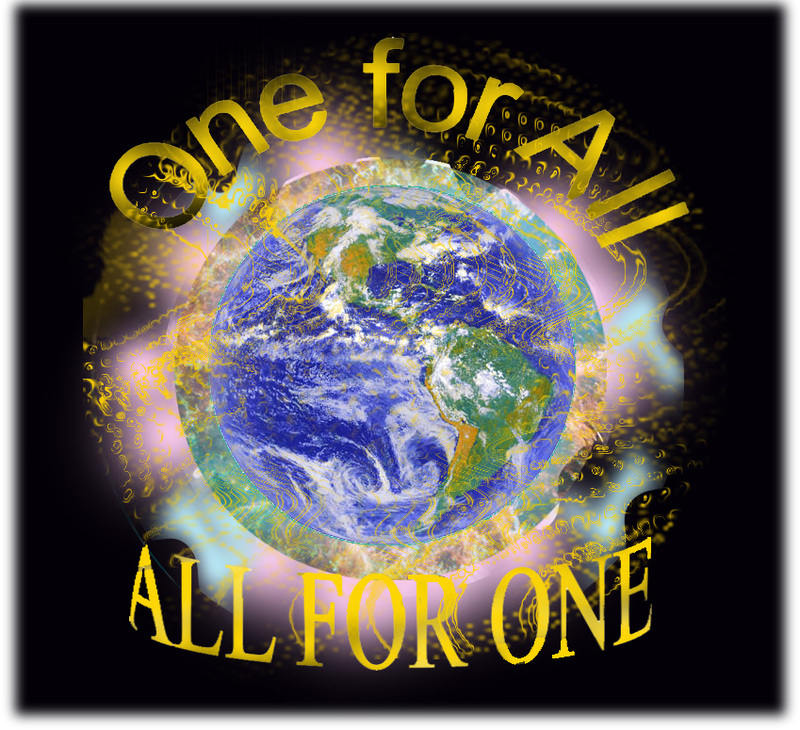 Members of a world who learn how to crealate bodies of light, for the purposes of Universal Travel, and higher level relationship possibilities. 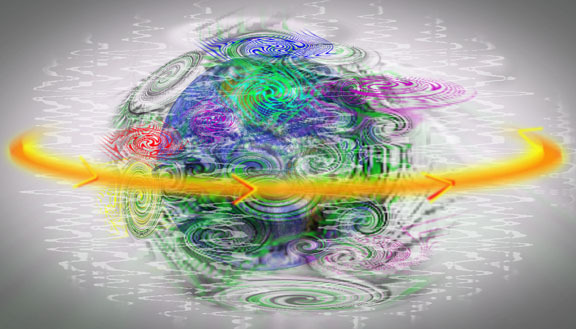 The action of consciously attaining of higher states of consciousness, by using the intellect and a technique such as Universal Azium Ascention. It appears that there is an ever-elevating possibility for Humanity. Seems to be an intrinsic gift of the Universe itself. Thus the OptiMystical Universe. Focusing an energy duplicate of the Genetical Principle into an Azium. The GP then uses the available azium material for the formation of a Body of Light. Autonomatonic refinement system for the needs of the macro cosmos’ balanced, vibrational interchange of materials. A hypothetical planet whose beings have attained Celestial Graces, and who enjoy the OptiMystical Universe for travel and higher levels of love and relationships. We experience ‘sight’ through two states of Light: reflected and emanational. 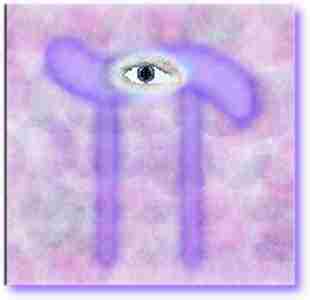 Reflected light is associated with eye sight; emanational Light is associated with clairvoyance. A person who can ‘see’ the emanational world. This is an adaptation to seeing through the chakras. 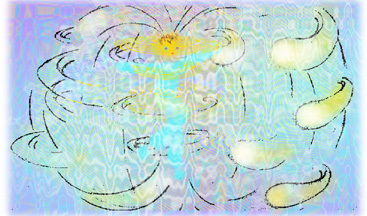 In Ascention ~ evolution, this happens on the kindergarten level when the being ascends into Angelinium and sees the emotional ripples of a loved one rippling the Angelinium Azium field. The interchangeability of energy and matter gives that everything that is material has a degree of an energy duplicate. The energy duplicate of the Genetical Principle of a person can be focused into various material fields resulting in the formation of bodies of those materials. 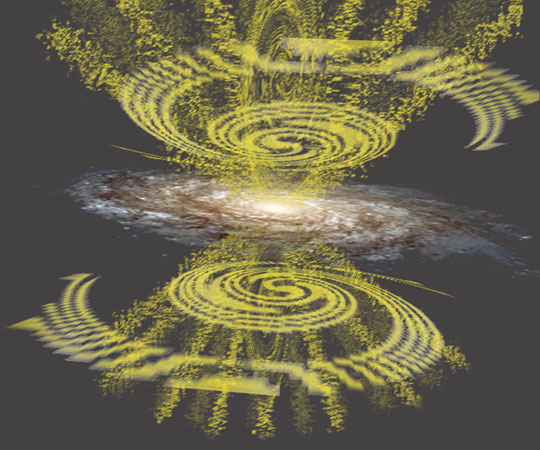 Azium intimated by the curved motion of a galaxy through the OptiMystical Universe. Menta Genetical ‘seed’ dropped in the wake of the Earth’s orbit, in Orbazium. The astralized genetics of the experiencer. 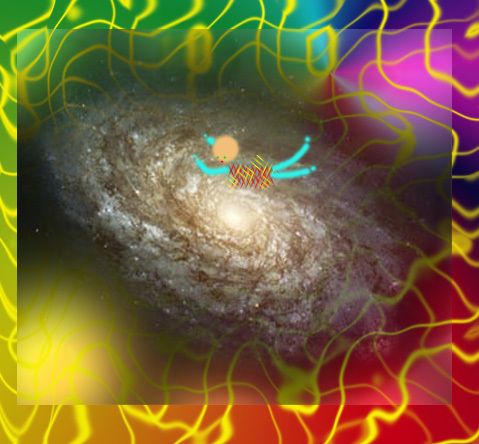 The State of Life, reached above Spiralacium. The place of all possibilities. The vista place of all Azium Ladders leading into the myriads of star fields in the Universe. A neutral action, of consideration. Normal focus is impaired with associative thinking, thus loosing the neutrality of focus. Clairvoyant focus, is leaving the associative mentality at rest and simply ‘knowing’ the clair~emanations of that which you are considering. Considering a planet. 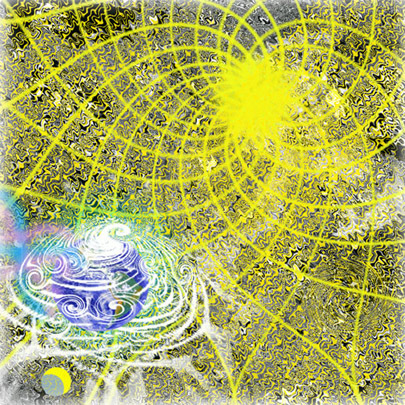 The apparent materialization of the Spinazium field of a planet. Actually, inner aziums which cover the energy mechanisms intimated by the spinning earth. 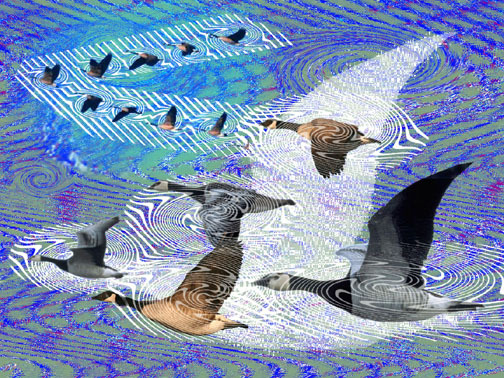 Before there were geese migrating, there wer energies doing this in the spinazium field of earth. The genetical material veil is simply covering these mechanisms so we can 'see' them. That intelligence that forms bodies from the material of the world it is experiencing. Living memory units, spread in the spacial Orbazium field. 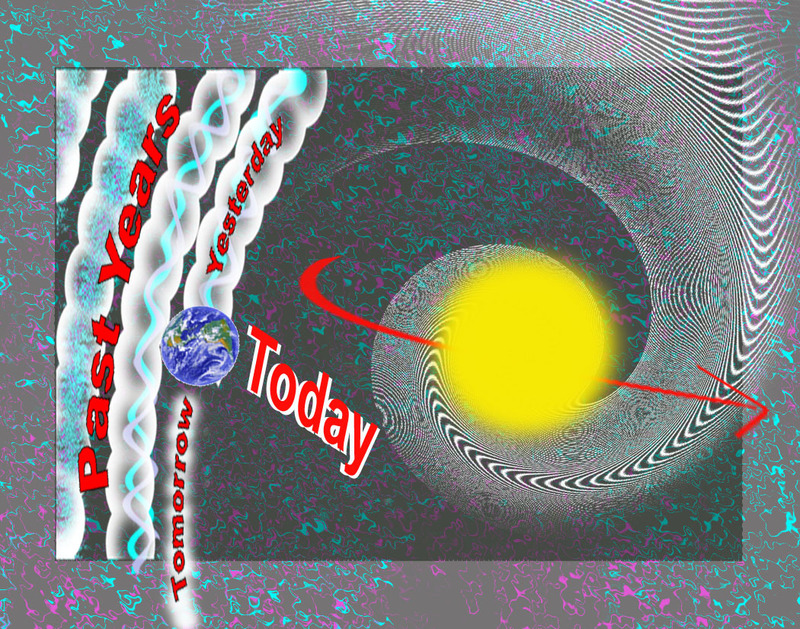 Stored in the Orbazium Azium Field, which looks like a gently stretched slinky, as the Earth orbits the sun. also the Menta genetical doughnut. Life ‘thinks’ with the most convenient neural system. Our usual thinking is with the neural system that is hooked up between the brain and the muscles. This keeps ideas in the form of To Do ideas,( by the nature of the neuro muscular system). This also is the cause of many physical aliments. Try this: think of lifting 10 pounds of sugar at the super market…… and be aware that the needed muscles, in your arm and chest, are actually a little tense with the thought. Even though there is no sugar, it’s just an idea you were thinking about………. Probably all physical tensions are a result of this mechanism….. and the resulting ailments are unnecessary. And the thinking is very limited in scope. Overlaying the musical octave, with the Universal aziums. 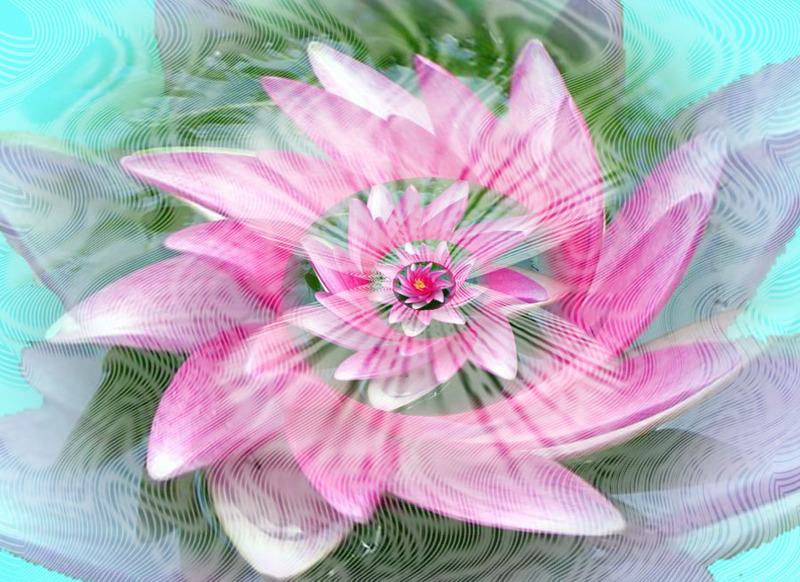 The meditational technique, has you singing the Do, Re, Mi etc., in your mind, and then the names of The Universal Aziums, then moving into feeling the various azium fields……… finally, ascending and descending the octave feeling notes in a smooth, resilient, mantra. Highly effective. Traveling up the Azium ladder Life has found Instinct, Intellect, Emotion…. By its natural ascent of the cosmology of the Universe, everything is getting into higher states of consciousness. This is a very OptiMystical situation that we happen to be playing in. A vision seen by Dav*d. PI with an Eye in it. Out of a thin gray cloud, embossed in an ultra violet color. Felt like a divine being from the world of symbol. Felt to be naïve, innocent and intensely curious about what’s happening on Earth. The Burning Bush for Universal Azium Ascention. Living in the world of Essence, emanational and creational ambience. 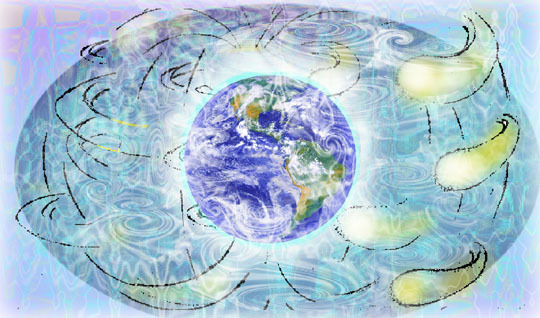 Universal Azium intimated by the daily spin of the Earth. Universal Azium Fields when used for F’Light. Traveling in Light Bodies. Allowed for when the traveler focuses his/her Genetical Principle into an Azium field of material and crealates a Body Of Light of that material. 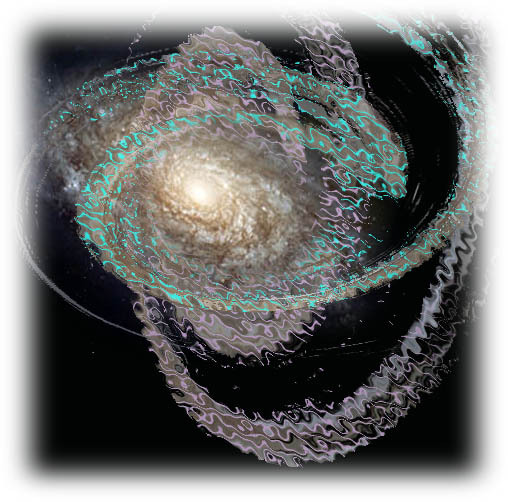 A centrifugal field of energy intimated by the curved motions of the Earth, Sun or Galaxy. The presence of a higher azium, penetrating a lower azium and experienced in the form of dreams, inspirations, epiphanies or unusual higher consciousness experiences. Allowing the active imagination to focus Being Attention for the purpose of expanding knowing and pleasure. 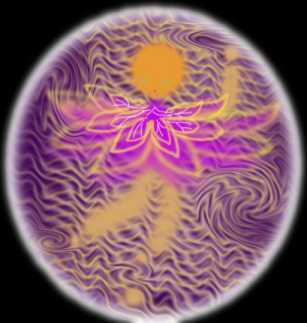 The first Crystonian Aziumist, who discovered the OptiMystical Universe, and Light Body Travel.